Posters are a favorite way of visual communication for both commercial and household purposes. We at Top Class Signs and Printing help you get your ideas and thoughts onto beautiful glossy and matte-finish papers to get them across to others. Companies can use colorful full color posters to let their clients and other interested parties know about their products and services. This is one of the most basic and easy ways of business marketing. It also happens to be cheaper than the other more effort and cost intensive business marketing initiatives. 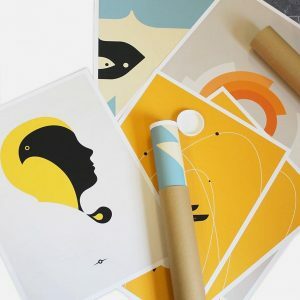 Add some eye catching art and thoughts to your posters to get the attention of your potential clients. You can always give away posters to your clients as promotional items as well. For household purposes you can always print some posters to decorate your home and living spaces to accentuate the theme you are sporting for your décor. Movie posters, antique posters from the 1920s, or posters of your music bands, you say it and we print it. We offer full color posters in various size options for both commercial and household uses. So let your creative juices flow and leave it onto our poster printing services to create beautiful posters out of them for your use.